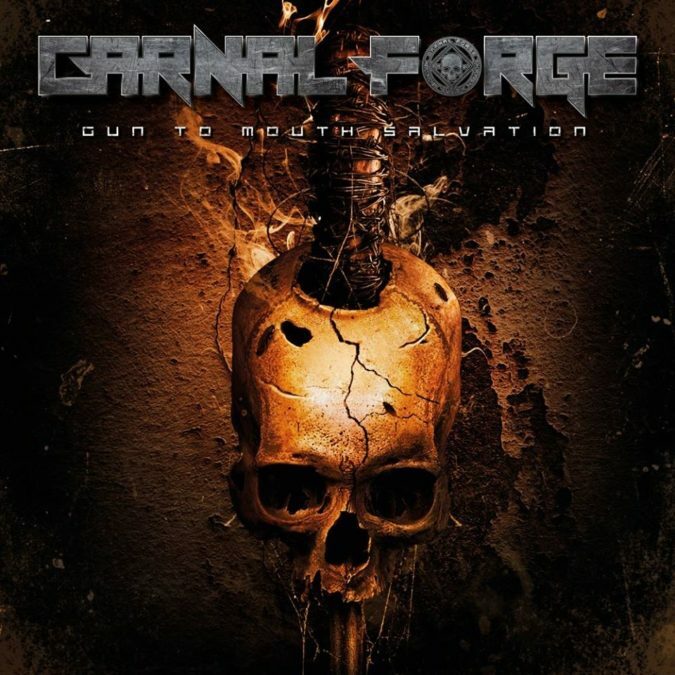 Swedish thrash metal masters CARNAL FORGE have just returned to full-on activation with the release of a new album and official video, their first such since 2007. The album, entitled ‘Gun To Mouth Salvation‘, was released January 25th via ViciSolum Productions and was preceded by the single “Bound In Flames”, and its accompanying video. The clip was directed by Owe Lingvall (Meshuggah, Sabaton, Dark Funeral) and finds the latest incarnation of the band – new vocalist Tommie Wahlberg, bassist Lars Lindén, drummer Lawrence Dinamarca, and guitarists Petri Kuusisto and Jari Kuusisto – as musically intense and volatile as ever before. ‘Gun To Mouth Salvation‘ features artwork by Federico Boss (Abstract Chaos Design) and is CARNAL FORGE‘s long awaited follow-up to 2007’s Testify For My Victims. It has 11 tracks of some of the band’s best material to date, formidably rabid and out for blood. Check out the official video for “Bound In Flames” below, along with lyric videos for the previously issued singles, “Reforged” and “Parasites“. “Gun To Mouth Salvation” is out now from ViciSolum Productions.